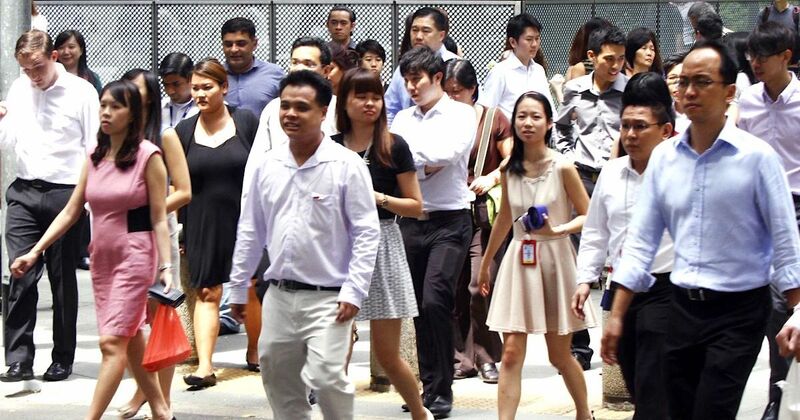 Singapore’s Employment Act is set to undergo a major change as proposals are introduced to expand it to cover higher-paid professionals, managers and executives (PMEs), who make up a significant portion of the workforce. A key proposal is the removal of the salary cap of $4,500. This means that workers will be entitled to employment terms such as minimum days of annual leave, paid sick leave, hospitalisation leave, and compensation for wrongful dismissal. Currently, the Act only applies to the 290,000 PMEs who earn up to $4,500 a month and non-PMEs. With the proposed changes, an additional 430,000 PMEs will stand to benefit. This however will not apply to public servants, domestic workers, and seafarers who are covered by other legislations. The prospective legislation, called the Employment (Amendment) Bill, was introduced in Parliament yesterday by Manpower Minister Josephine Teo, and will be debated next month. The Ministry of Manpower (MOM) has also proposed to raise the salary cap on the protection for hours of work and overtime pay to more workers. The proposed changes want to raise the salary cap for white-collar workers to $2,600, which will extend protection to half of Singapore’s workforce. On overtime pay, the salary cap for white-collar workers will be revised upwards from $2,250 to $2,600, benefitting about 100,000 of the office workers. Disputes between employees and employers will be made easier to tackle as workers currently have to go to two different parties to work out their employment disputes. The Bill requires salary-related disputes to be mediated at the Tripartite Alliance for Dispute Management. If unresolved, the claims will be heard at the Employment Claims Tribunal. Wrongful dismissals will also be heard by the tribunal, to provide a “one-stop service” to both employers and employees. Currently, they are heard by the Ministry of Manpower. The proposed amendments also cover a redefinition of dismissals from workplaces. Under the new definition, dismissals will include the involuntary resignation of an employee, and not just an employer terminating the contract of service of an employee. Employers are also required to obtain the written consent of their employees should they want to make any deductions from their salary for certain services such as accommodation or amenities. Written consent may also be withdrawn, without penalty in some scenarios, by the employee in written notice before the deduction is made. The proposed changes also extend to medical leave. Under the amendments, any medical practitioner can certify an employee’s entitlement to paid sick leave. Currently, the Act states this can only be done by medical practitioners appointed by the employer. In another change, community hospitals will be included on the list of approved medical institutions for hospitalisation leave. Currently, employees can only qualify for paid hospitalisation leave if they are admitted to an acute hospital or national centre. This leave is extended to employees warded at community hospitals only if they are referred there by acute hospitals. With the changes to the Act, employees can be entitled to hospitalisation leave when they are directly admitted to a community hospital. The Employment Act was last reviewed in 2012, and these changes are slated for implementation by April 2019.